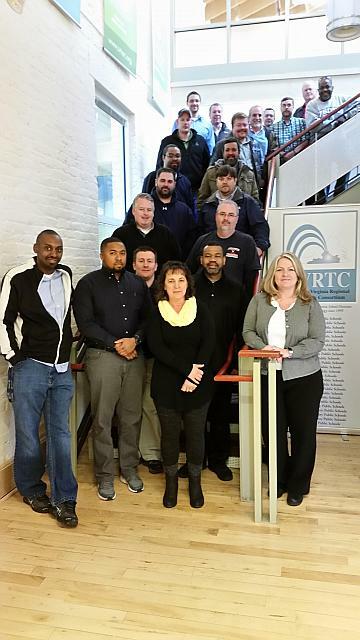 The Southside Virginia Regional Technology Consortium (SVRTC) was delighted to provide partnering school divisions the opportunity to send technology personnel from their division to participate in a three-day training course on cyber security. Twenty-three SVRTC members from fourteen school divisions participated in the System and Network Security Introduction (course 468) training on March 14-16, 2017. The training was provided by Learning Tree International with the support of Longwood University’s Institute for Teaching through Technology and Innovative Practices (ITTIP), and took place at the Southern Virginia Higher Education Center. Sixteen of the twenty-three participants attending the training sat for the certification exam on the last day of class. 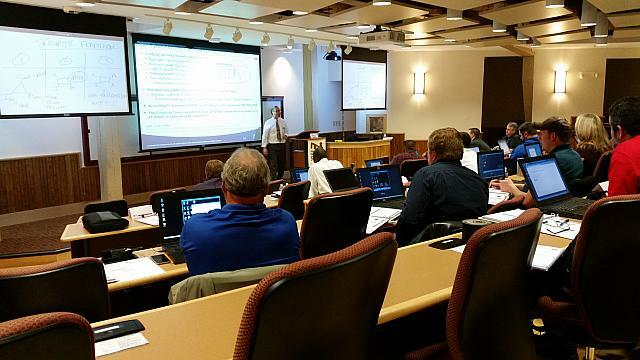 The course provided was one in a sequence of courses offered by Learning Tree that prepare participants to become certified in specific areas of cyber security. This course is usually of interest to IT professionals charged with maintaining proper network security for their respective schools. This training is representative of the types of services provided by the SVRTC throughout the year. Cost for such training is reduced by negotiating as a regional consortium vs. a stand-alone school division. The savings are significant. Bringing the training to the region helped reduce the overall cost, and also made it more convenient for participants to attend. Divisions attending the training included Amelia, Brunswick, Charlotte, Colonial Heights, Danville, Dinwiddie, Halifax, Henry, Hopewell, Lunenburg, Martinsville, Mecklenburg, Prince George, and Sussex.